This issue's cover is from Colin McNaughton's Hmm... Colin McNaughton discusses the thinking behind his book in Windows into Illustration. Thanks to Collins Children's Books for their help in producing this cover. Stephen Tompkinson's clever, deadpan reading makes Cliffhanger so funny that it is hard not to laugh out loud. 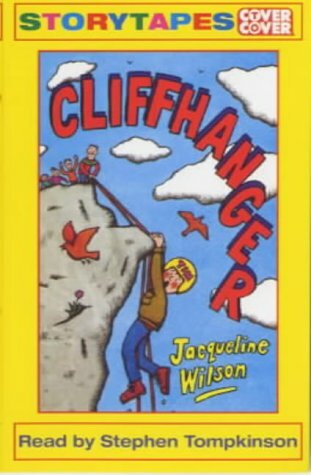 Wilson's eye for the tiny details of character are exploited to the full in this brilliant story of life on an adventure holiday. Sporty, knowing Giles, determined to win everything, is delightfully brought down by Biscuits and Tim, who narrates the ups and downs of his enforced week of adventure. The triumph of kindness, consideration and thoughtfulness over competitiveness is sheer joy. For nine years and upwards.